President Cyril Ramaphosa is safe, for now, as all signs show that the Public Protector’s report into his relations with bribery-accused executives of the Bosasa group of companies will only be ready after the May 8 elections. Public Protector Busisiwe Mkhwebane dashed the opposition DA’s optimism last week that the findings could be released on the eve of the crucial polls – just in time to change voters’ perceptions of Ramaphosa and the ANC’s credibility. DA leader Mmusi Maimane met Mkhwebane last Tuesday to discuss progress on the probe and to table the main opposition’s concerns that the matter was taking too long to conclude since the party lodged the complaint more than five months ago. 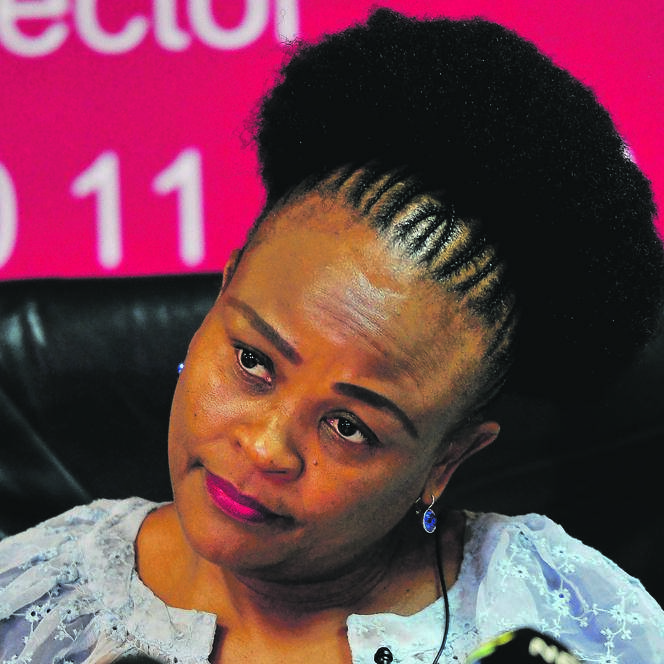 Mkhwebane refused to budge, City Press heard, saying that more work still needed to be done on the case and the scope could be extended to include a probe into money laundering. Mkhwebane’s office declined to answer questions from City Press on Friday because “she does not want to conduct her investigations in the glare of the public”. She would also not comment on claims from those close to the process that she had been lobbied to halt the release of the report until after the elections so that it did not dent the ANC’s chances of winning. City Press learnt that further delays had been due to Mkhwebane’s office not having enough human and financial resources to deal with the matter speedily. The involvement of legal representatives was also slowing down progress and left investigators frustrated. Bosasa, under its CEO Gavin Watson, has been accused of bribing ANC politicians with large sums of monthly retainers to secure lucrative government tenders worth more than R10 billion. Watson donated R500 000 to Ramaphosa’s campaign team to support his election as ANC president at the party’s nail-biting 2017 national conference in Nasrec. The DA anticipated that an adverse finding against Ramaphosa would have been favourable to the opposition’s bid to unseat the dominant ANC, as he is seen to be the embattled governing party’s vote magnet. Even Ramaphosa’s opponents inside the ANC found the prospects of embarrassing him tantalising but felt losing electoral support over the saga would be more costly for all factions. Ramaphosa has been dogged by the Bosasa issue after he gave a misleading explanation in Parliament on his son Andile Ramaphosa’s business ties with the corruption-accused firm – which he later said was an honest mistake – as well as his ignorance of the R500 000 campaign donation. Next Tuesday Mkhwebane will deal with another politically charged matter involving Public Enterprises Minister Pravin Gordhan, which had been dragged in the public space after a subpoena sent to Gordhan was leaked, forcing the Public Protector to defend the legitimacy of the investigation. Last week Maimane said the Ramaphosa case could have been concluded as early as February but “it became apparent during the process of investigating the matter that the nature and extent of the relationship between Ramaphosa and Bosasa runs much deeper than initially thought”. He insisted there was a “clear relationship and conflict of interest that exists between him, his son Andile Ramaphosa, and Bosasa”. Maimane said this meant that Ramaphosa would go into the elections with serious allegations of corruption hanging over his head. “There is still much we do not know about this improper relationship and it is now imperative that the president comes clean with the people of South Africa,” he said.